True playing power, staying power. Vibrant neighborhoods, a robust economy, great schools and a can-do community spirit: Hillsboro residents and businesses find plenty of reasons to put down roots here. One more reason for our staying power: All the ways we have to play—play that extends for all stages of life, in convenient locations that allow residents to easily integrate a well-rounded quality of life enriched by regular and refreshing recreation. Inside the city, our two parks are both getaways for relaxation and gateways to exciting sports league action. 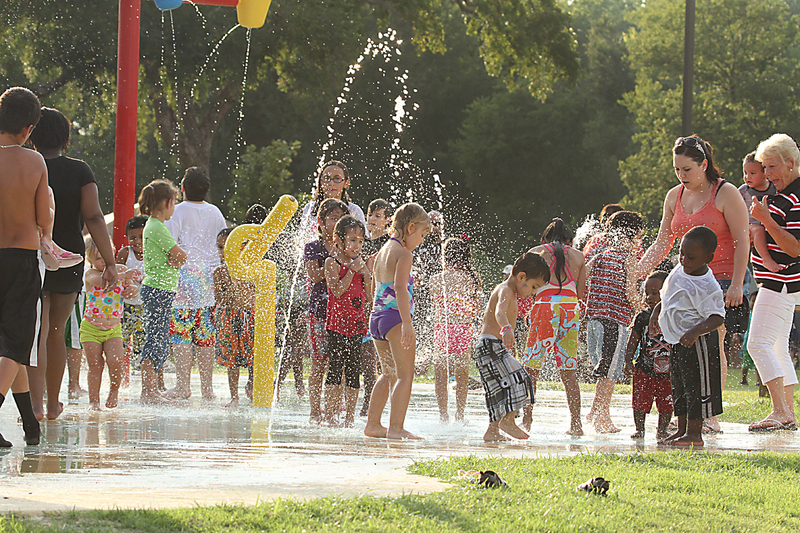 Families delight in the amenities of the Hillsboro City Park, offering a splash park, tennis courts, a fun-packed playground and welcoming pavilions for gatherings and get-togethers. At the multi-sport Wallace Park, the year-round action covers all the bases in competition sporting events and youth leagues for baseball, softball and soccer. While Hillsboro natives have gone on to Olympic and NFL glory, we believe that everyday play for everyday people makes for great heroes in all walks of life. Those who love the links have more to love in Hillsboro, including the nine-hole golf course at the Hillsboro Country Club as well as White Bluff Resort’s two standout 18-hole courses designed by PGA champion Bruce Lietzke. Lakes: Wider choices, deeper satisfactions. Just minutes away, two lakes—Lake Aquilla and Lake Whitney—expand recreational pleasure. Just 15 minutes away, the massive Lake Whitney serves up a delightful variety in natural beauty and recreational options, across blue waters and landscapes that range from sandy beaches to dramatic bluffs to accommodating state park adventures. On the lake, fishing, sailing, skiing and even scuba diving are popular, while hunters, campers and bird watchers find a paradise of natural abundance. At the end of the day, relax at a resort like White Bluff or stretch out under the stars with tent or RV camping. Officially designated as the “Getaway Capital of Texas,” Lake Whitney, like all of Hillsboro recreation, is the endlessly repeatable experience. All ages, all interests. Staying power, playing power. At heart, wouldn’t you rather be having fun in Hillsboro? Ready to play? Give us a call at Hillsboro Economic Development Corporation (HEDC) at 254-582-5776 or email us at hedc@hillsborotx.org.